I'm pretty sure everyone dreams about going to Paris. Whether it is for your love of art, fashion, or interest in the French culture, you've probably daydreamed about the city at least once. 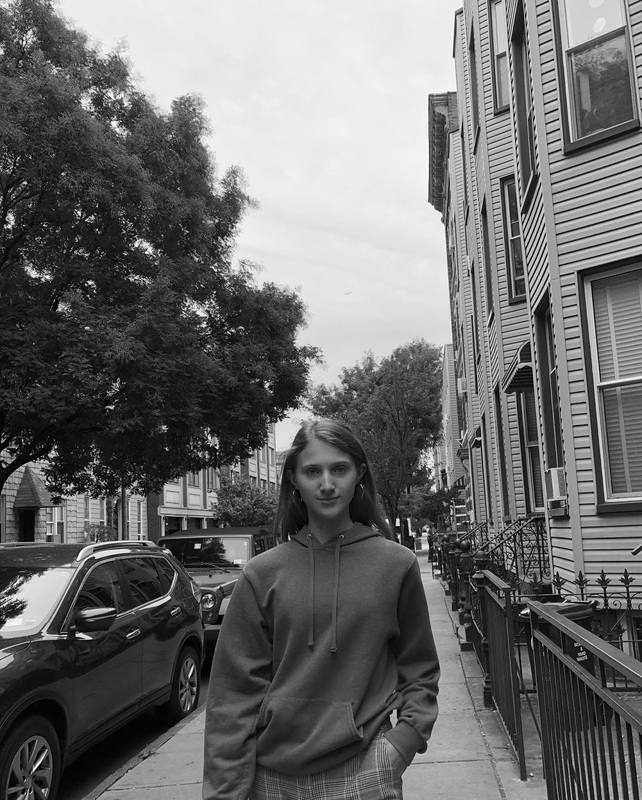 When my fifteenth birthday was coming around, I knew exactly where I wanted to spend it. 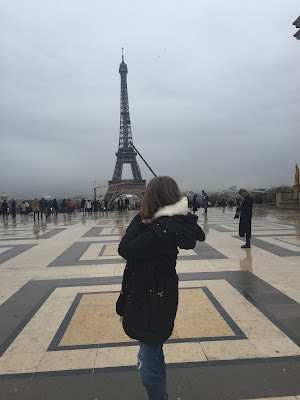 And so my mom and I packed our bags, and headed to the City of Lights for a three-day-stay. Prior to the trip, you best believe that my Pinterest boards and Instagram collections were overflowing with cafe recommendations and aesthetically pleasing pictures of croissants. After a relatively easy travel to the Charles de Gaulle airport, we were ready to experience what Paris had to offer. 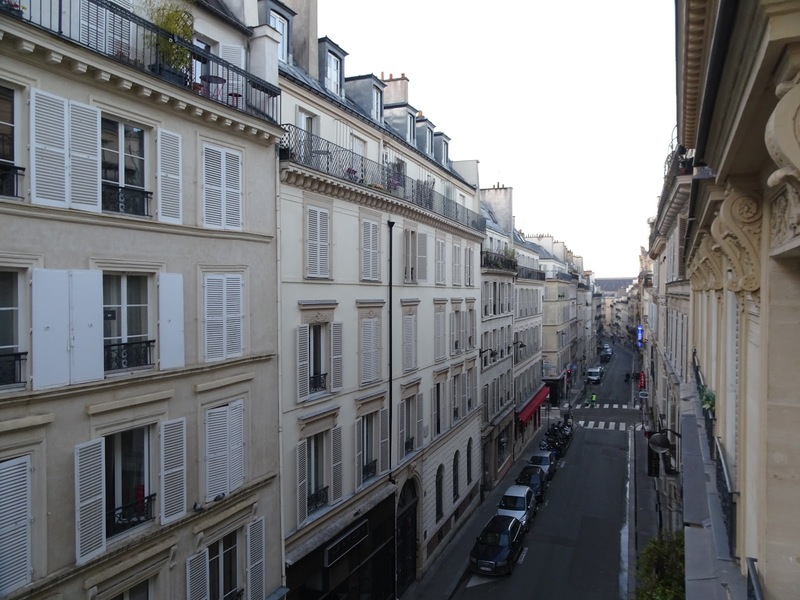 After arriving to Paris in the morning, we checked into an inviting boutique hotel, Hôtel Trinité Haussmann. 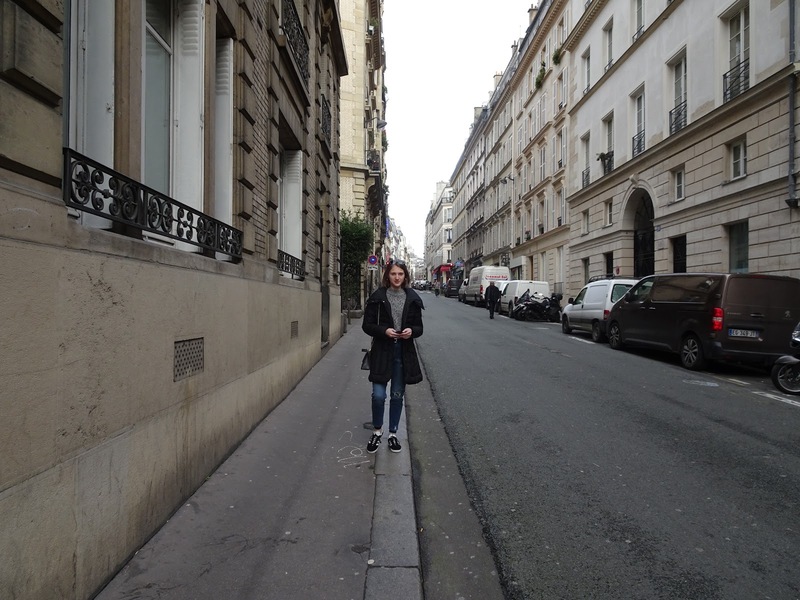 It was located in the area of Pigalle, however the street was very calm and quiet. When I got into our room, the first thing I did was head straight to see the view. One of the things that I really wanted to have was a view with Parisian character, and I was not disappointed. The room over looked Rue Jean-Baptiste, which let us get a glimpse into the daily life of Parisians. From time to time, someone would be walking down the street with a baguette in their hand, or a group of workers would be leisurely having a conversation. Our next adventure was to figure out where those baguettes were from! 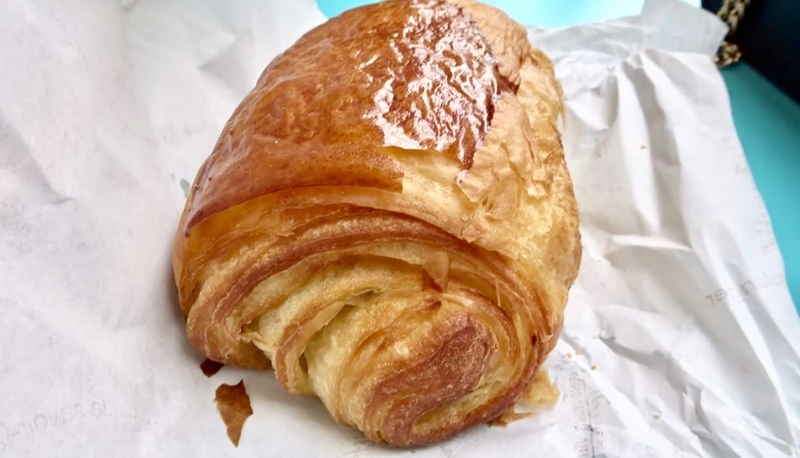 My mom and I ventured into the streets of Montmartre, when we stumbled upon the adorable Boulangerie Blavette, where we purchased our first authentic French baguette and pain au chocolat. Fueled on espresso, my mom and I were two happy girls, and we were officially ready to venture into the streets of Paris. 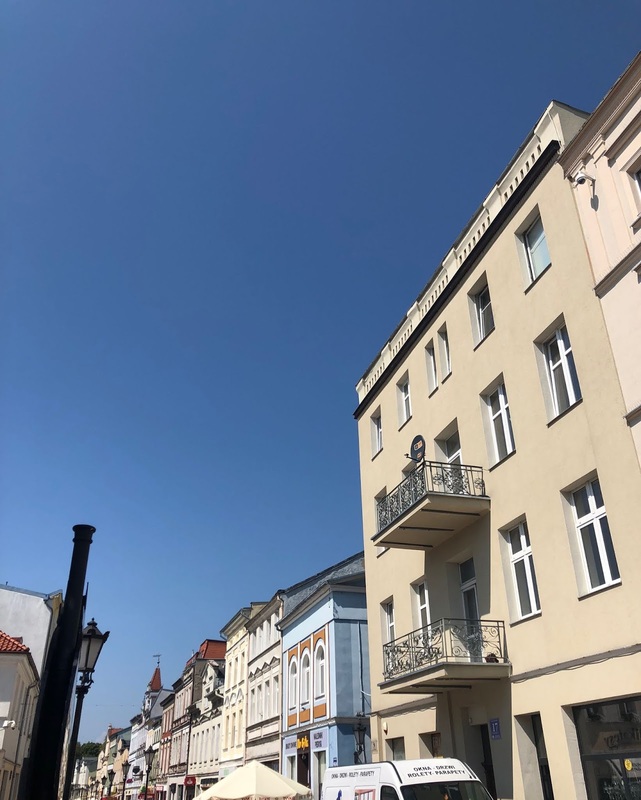 Next up, we had planned a car tour of the city in advance, to give us a better idea of where we wanted to spend our stay. The driver took us to all of the famous landmarks, including Sacre Coeur, Arc de Triomphe, and of course, the one and only Eiffel Tower. Being quite jet lagged, we decided to leave it at that for the day. On day two, we started our day with a baguette (of course), and headed to Saint-Germain-Des-Prés. I really liked that area, since it was filled with cute shops and cafes, which is right up my alley. If you really want to get to know Paris, I would say the best methods of transportation are taking the metro and walking. The metro may seem intimidating, but it's actually very simple once you figure it out. I downloaded the RATP app to help us figure out what lines to take. 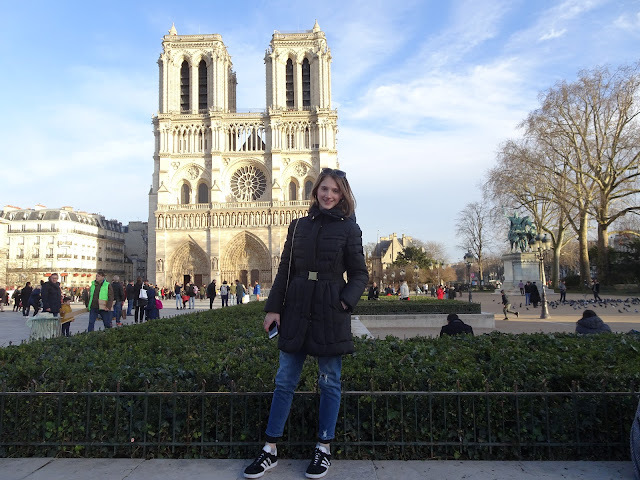 We walked to the Notre Dame cathedral, running into many popular spots, including Les Deux Magots and Cafe de Flore. We took a picturesque walk down the Seine river afterwards, which was a great idea, since the sun was just beginning to set and golden hour was in full swing. At this moment, I realized that having three long coffees within a few hours was not a smart idea. The plan was to look around inside the cathedral, but the jitters hit and I ended up having to walk a lap around the area. For dinner, we decided to eat at a restaurant on Saint-Germain-Des-Prés, called Chez Gladines. I got the chicken and rice in Basque sauce and it was absolutely amazing. I will definitely be returning here if I ever come back to Paris. 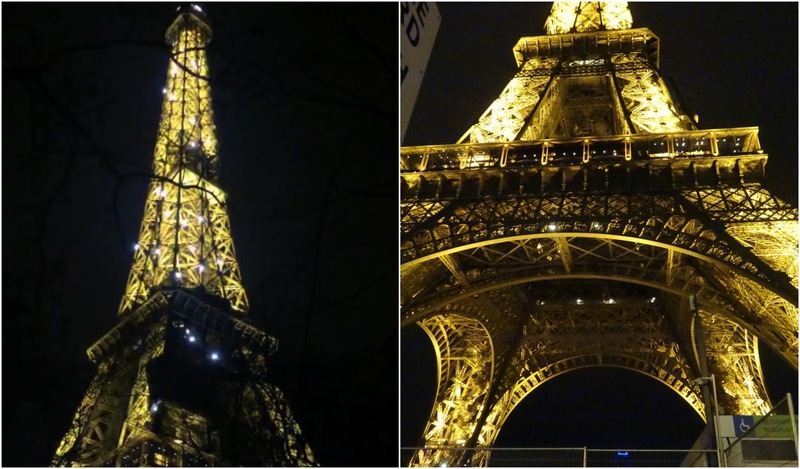 To finish off the night right, we headed to see the Eiffel Tower twinkle. This was a pretty special moment, because the clock was hitting 12:00, and that meant it was the start of my birthday! Seeing the Eiffel Tower at night made it sink in that I was actually in Paris. Nutella crepes in our hand, we headed back to the metro and were ready to get some sleep. On day three, we were disappointed to find out that our favorite Boulangerie Blavette was closed. 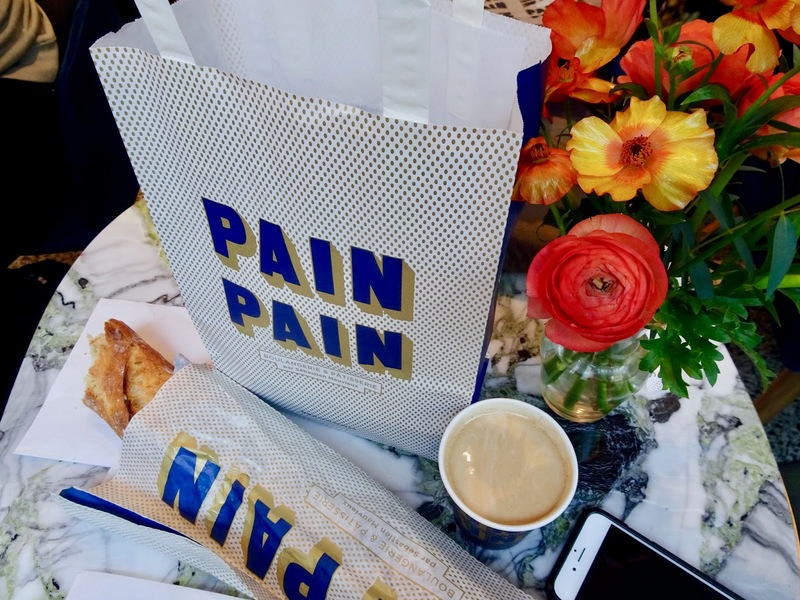 Instead, we took a walk to Pain Pain, a more Instagram-y spot. After two days of rigorous sight-seeing, my mom and I were ready to have a laid back Parisian day. 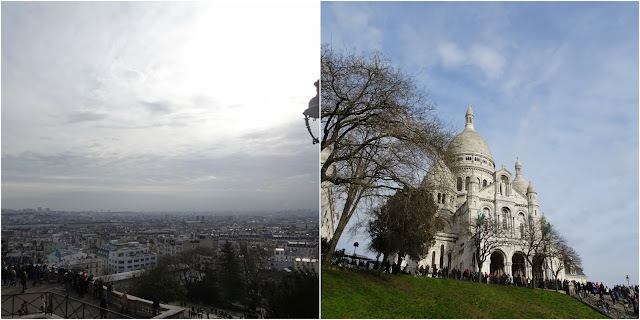 We took the metro to the Sacre Coeur basilica, and walked around that area for a bit. We wandered into the streets of Montmartre again. Whenever I travel, I like to keep a spontaneous and open mind, because you never know what unexpected wonders you will run into. I roughly plan an itinerary, but keep it very flexible, and leave tons of room for random adventures. We stumbled upon an adorable park, which we decided to take a seat at. The last major stop of the day was the Louvre. 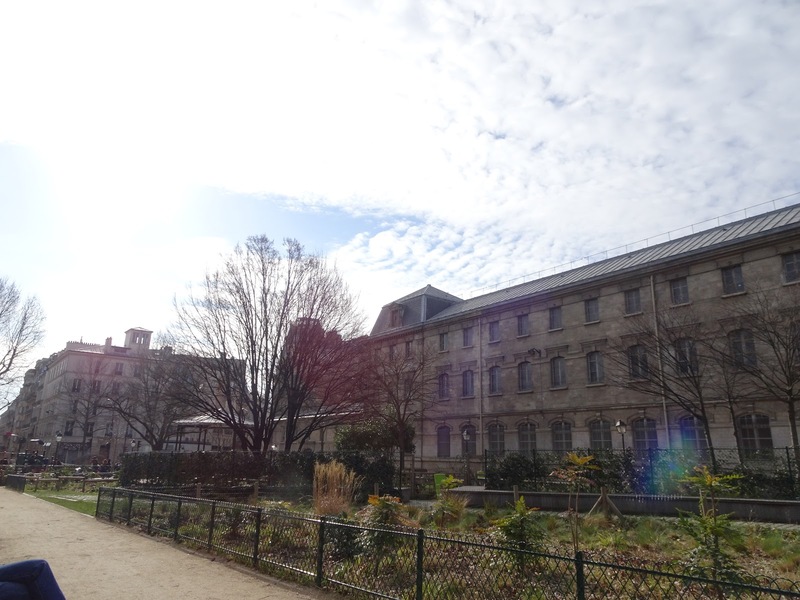 We didn't have time to go inside, but we spent some time in front of it, and took a walk through Jardin des Tuileries. I heard a lot about Avenue des Champs-Élysées, so I wanted to stop there to shop around and get some macarons at Laduree. After coming back to the hotel, we decided to eat dinner at an Italian restaurant near our hotel, called Dulcinea. I am glad that we decided to eat there, because it had a very cozy and casual atmosphere. It was refreshing to eat at a place that wasn't packed with tourists. I noticed how everyone had their phones away, and was communicating with each other face to face. Something that Paris taught me was the beauty of simplicity. Everyone seemed to have a similar style - simple but put together. I am very grateful that I got to experience this amazing city, and would highly recommend going. Thanks for reading, and I hope you enjoyed hearing about my trip.